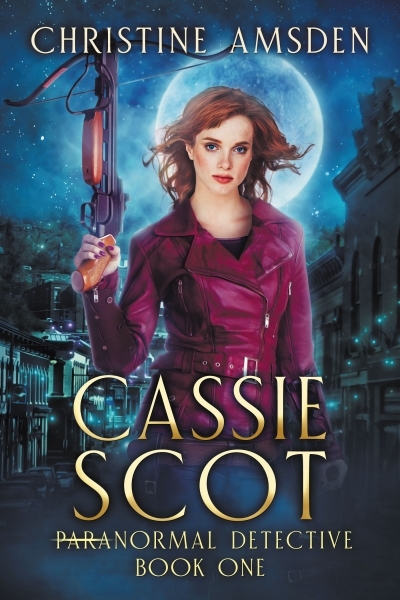 She was born into magic, but she has none of her own… Cassie Scot is the normal daughter of powerful sorcerers, born between worlds but belonging to neither. She strives to find a place for herself, but living in the shadow of her family’s reputation isn’t easy. All she wants is a nice, normal job, but her dreams of independence from magic are threatened when she stumbles upon the gruesome body of sixteen-year-old Nancy Hastings. Cassie is plunged into a paranormal investigation which gets her tangled up with the victim’s powerful family, the Blackwoods. Dark, dangerous, and handsome Evan Blackwood tempts Cassie deeper into a world she seeks to escape. Yet Evan – and magic itself – may not be ready to let her go.